An update of Vol. 2, pp. 493–495. 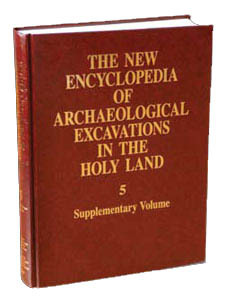 Between 1989 and 1997, seven field seasons were directed by N. Goren-Inbar of the Hebrew University of Jerusalem at Gesher Benot Ya‘aqov to facilitate recognition of the stratigraphic sequence. The sections, representing a 34 m-thick stratigraphic sequence, revealed that the geological structure is tilted up to 45 degrees at the study area. Excavations adjacent to the trenches (in three major areas: A, B, C) exposed over 13 Acheulian archaeological horizons comprising a wealth of botanical and paleontological assemblages. The lithic assemblages retrieved reflect the typical Acheulian tool kit: hand axes, cleavers, flake tools, flakes, and cores. A paleomagnetic study located the Matuyama/Brunhes chronological boundary (790,000 years ago) in the lower third sector of the sequence, thus assigning a greater antiquity to the formation than had previously been assumed. The estimated duration of the entire depositional sequence at the study area is c. 100,000 years, assigning it to Oxygen Isotope Stage 18–20, thus making Gesher Benot Ya‘aqov one of the most unique terrestrial sequences known from this time range.